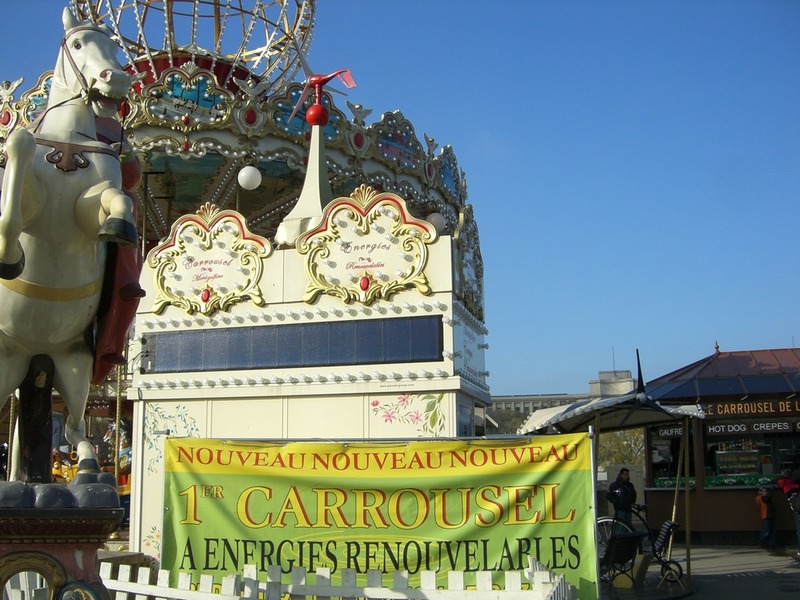 In Paris, in the shadow of the Eiffel Tower, on the banks of the Seine, there is a Carrousel that is now powered by renewable energy. This City of Light is filled with carrousels. 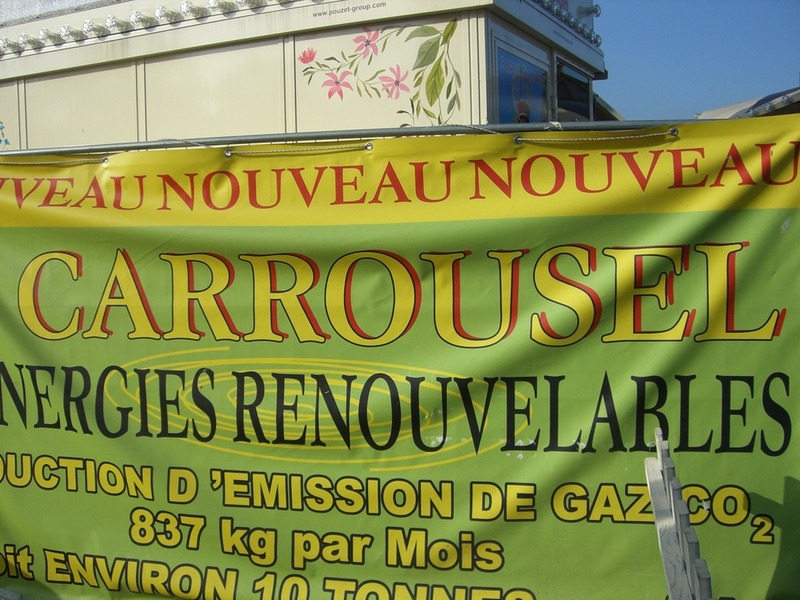 You can find them across the street from the Eiffel Tower, on the other side of the river at the foot of Trocadero, in the vast courtyard of the Hotel de Ville and many more locations throughout the city. 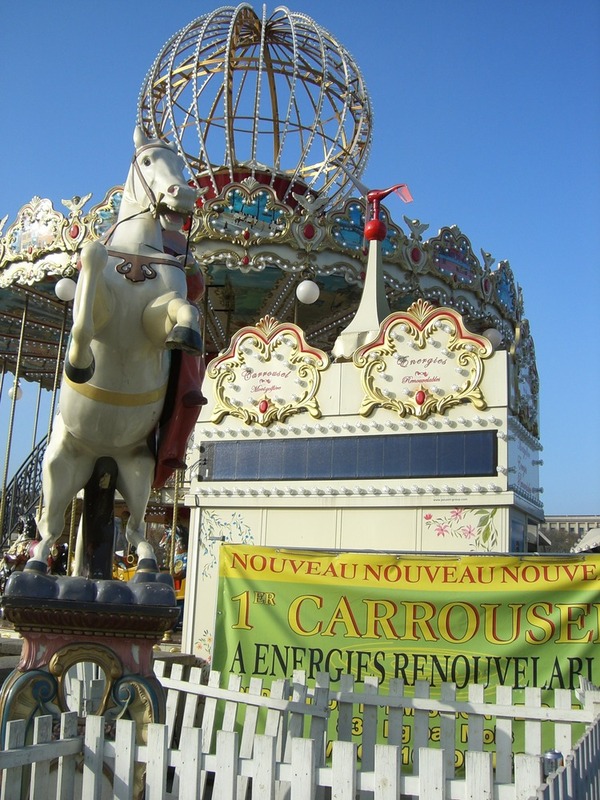 But this one, just underneath the Eiffel Tower, is the city’s flagship Renewable Energy Carrousel. Its LED lights are the same color as the flickering lights that have the Tour Eiffel twinkling on the hour every evening. On a recent sunny, Autumn day filled with the scent of fallen leaves, the carrousel was itself twinkling in the afternoon sunlight. 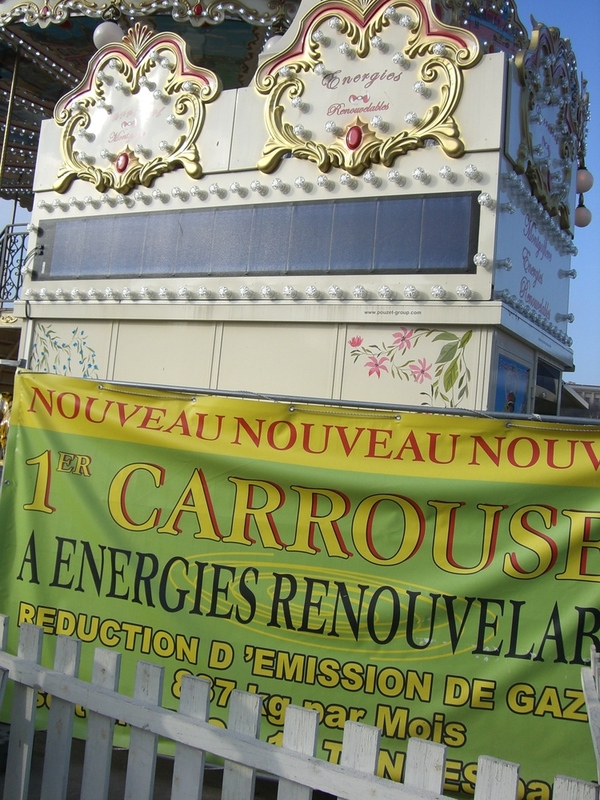 And FYI – during the Christmas Holiday week, many of the carrousels are free for children to ride on.